Original Russian Text © D.Yu. Turdakov, N.A. Astrakhantsev, Ya.R. Nedumov, A.A. Sysoev, I.A. Andrianov, V.D. Mayorov, D.G. Fedorenko, A.V. Korshunov, S.D. 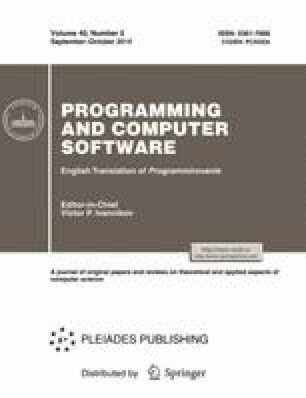 Kuznetsov, 2014, published in Proceedings of the Institute for System Programming of RAS, 2014, vol. 26, issue 1, pp. 421–438. International Conference on Weblogs and Social Media movie domain dataset. http://icwsm.cs.mcgill.ca. Cited December 6, 2013.